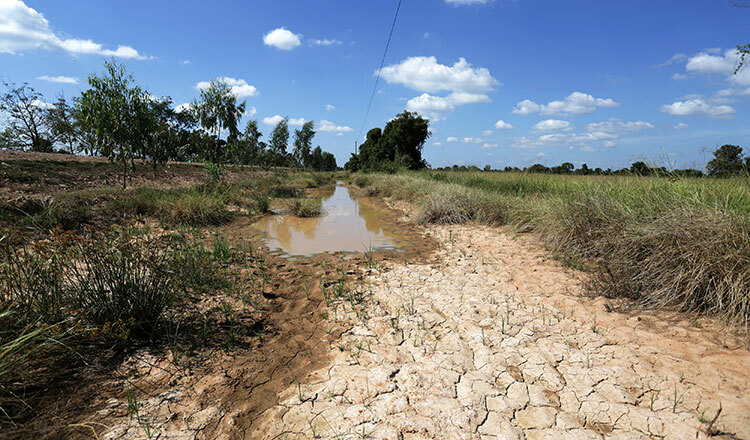 Battambang is among 13 provinces hit by drought this year and farmers in multiple districts are in need of aid, with many citing unpaid debts. 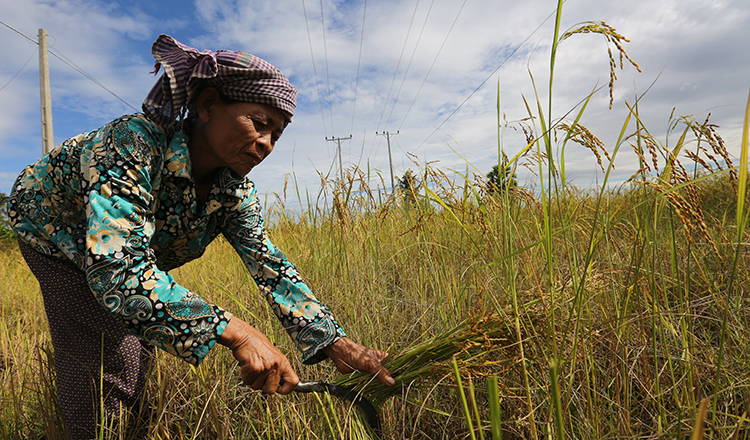 Sok Soeub, a farmer in Kors Kralor district, yesterday said she had five hectares of rice paddies before the drought that began a few months ago. The 63-year-old said farmers in the area can only harvest once per year due to a lack of water irrigation. 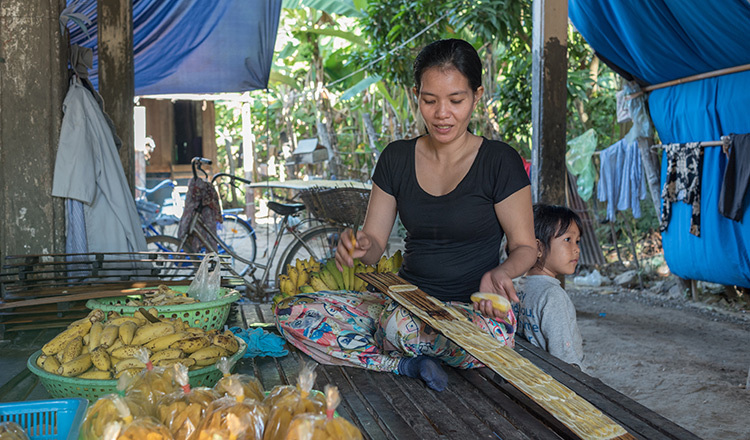 “Until now, our farming depends on rain because we do not have a canal to help support irrigation,” Ms Soeub said, noting that her last resort would be to send her children to work in Thailand in order to pay rent and make ends-meet. Top Sin, another villager in the district, yesterday said one hectare yields about 200 kilograms of rice during the drought and he is losing money. “I only get about 200 kilograms per hectare now because we do not have the water we need,” Mr Sin said. He noted that people in the area have suffered since September due to a lack of rain and irrigation systems needed for rice cultivation. “My rice paddies were destroyed because we did not have enough water for farming,” Mr Sin said, adding that he had borrowed $50,000 from a bank to get his farm running. 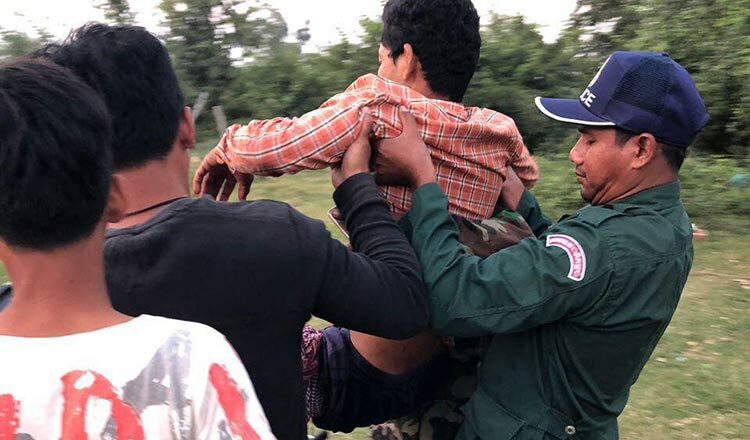 He said villagers living in the area had requested provincial authorities to construct a canal, prompting the authorities to survey the area, but no construction has been done so far. Provincial Governor Nguon Ratanak yesterday said authorities are working on the issue of finding a dependable water source for affected farmers. “We are solving the issue; we are looking for a water source and preparing a budget for farmers,” Mr Ratanak said, noting that Banteay Meanchey and Pailin provinces are also facing water shortages. Prom Voek, an official with the provincial agricultural department, said thousands of hectares have been destroyed in 12 districts. Mr Voek noted that Kors Kralor district has been hit the hardest. Mr Voek said provincial officials surveyed the sites in order to find a solution for the farmers, but noted that the closest source of water is located in Pursat province. Chhim Vichara, director of the provincial agriculture department, yesterday said a lack of rain is attributed to the drought, an issue discussed during a provincial meeting last week with the Water Resources Ministry. Mr Vichara said the meeting reviewed the situation in Kors Krolor and Rukha Kiri districts. He said authorities are attempting to use a system that can pump water from the water source in Pursat province. “If people continue to not have water, we will bring the water to them,” he added. 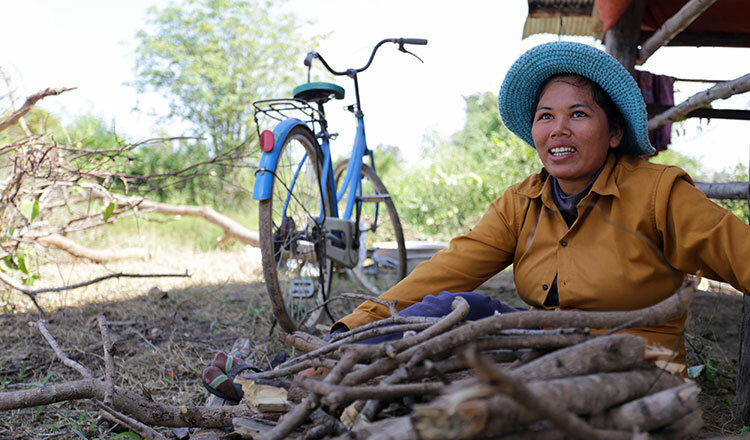 Suos Bopha, a villager in Kors Kralor district’s Dounba commune, yesterday said she is considering going to Thailand in order to make up for the losses of her three hectares of rice paddies.